Glendale AZ is one of the busiest and most exciting towns in the Phoenix major metropolitan area. Combining historic charm as the “Antique Capital of Arizona” and new, modern excitement in the form of vibrant shopping centers, great dining, and more, Glendale is just the place to find your new home. For you sports fans, get your game face ready because Glendale is home to not one, but two sports venues. The University of Phoenix Stadium is home to the NFL’s Arizona Cardinals and hosts a number of sporting events, including WestleMania XXVI back in 2010. The Gila River Arena, formerly known as the Glendale Arena, is located at the Westgate Entertainment District adjacent to the University of Phoenix Stadium and is where the NHL’s Arizona Coyote’s hang up their equipment. For those more interested in history and culture, there are plenty of venues to enjoy, such as Glendale Arizona Historical Society and several other museums. Get back to nature on any number of nature trails and guided tours to let you experience the breathtaking beauty of the Sonoran Desert. The homes for sale in Glendale reflect this blend of modern and historic. 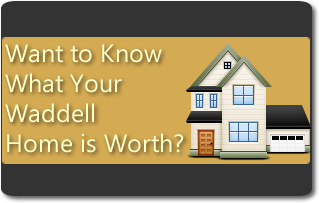 The city of Glendale is one of the larger towns in the Phoenix metro area and, as such, offers a wide range of housing options to consider. From simple country cottages on the outskirts of town to modern condos and townhouses in the city proper and everything in between, the homes for sale in Glendale are as plentiful and diverse as the friendly people who live there. Glendale is also one of the more affordable towns in the Valley while still offering luxury homes for those looking for more. Conveniently located just off the 101, Glendale also offers quick and easy access to the main freeways of the Phoenix area, ensuring you can get anywhere you need to go quickly and easily with minimal hassle. So what are you waiting for? 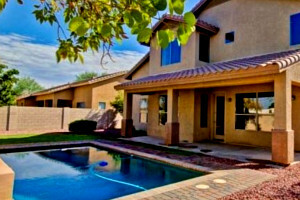 Your new Glendale home is waiting for you. Contact Amy Barnett today to help you find it!